Where are the best margaritas in Northwest Arkansas? Good question. A refreshing margarita is the drink of choice for many, and almost every restaurant that serves alcohol claims to have a great margarita, but that it not necessarily so. Some use a mix, which is extremely inferior to fresh ingredients as any mixologist worth his salt will tell you. We’ve taken the time to find the best darn margarita making establishments in NWA. Table Mesa is a boutique style bistro offering a multicultural dining experience in a trendy upscale atmosphere. Staff mixologists create an array of refreshing alcoholic drinks including a large selection of margaritas made with fresh lime and lemon juice. The Mesa Margarita served with a shot of Grand Marnier is a popular offering. At Table Mesa, you may also build your own margarita. Coming to you by way of Local Flavor, Aquarius Taqueria has fast made a name for itself in and around Eureka. Customers rave about the fresh and freshly made food including the fantastic fish tacos, tortillas made fresh to your order, gluten-free menu, and their to-die-for margaritas made from 100% Blue Agave and freshly squeezed juice – mixes are never used. All this plus a small waterfall in the outdoor seating area, a great view to the street, and reasonable prices places Aquarius on the map for must-try eateries. Try their delicious grapefruit margarita topped off with a skewer full of grapefruit gummy bears. Maxine‘s Tap Room is definitely the place to go for great margaritas made with Silver Tequila, Cointreau, honey, fresh lime juice and fresh blood orange juice. In addition, this little bar has great atmosphere, music and warm smiles for a fun time. Everything at Abuelo’s is exceptional from their delicious Mexican food, to their wonderful efficient service, to their out-of-this-world margaritas. The 1800 Hand Shaken made with 1800 Reposado, Agavero Orange Liqueur and Naturally-Sweetened Lime Juice is their most popular margarita offering. Mix and mingle with friends and listen to the live music in this chic hotel bar while sipping on a perfectly mixed Margarita made with fresh limes and a splash of orange juice. The bartenders, especially Alicia, are friendly and efficient. You’ll have a great time at the WXYZ Bar. Highly recommended for high-quality fresh and freshly made Tex-Mex food including hand-rolled tortillas. 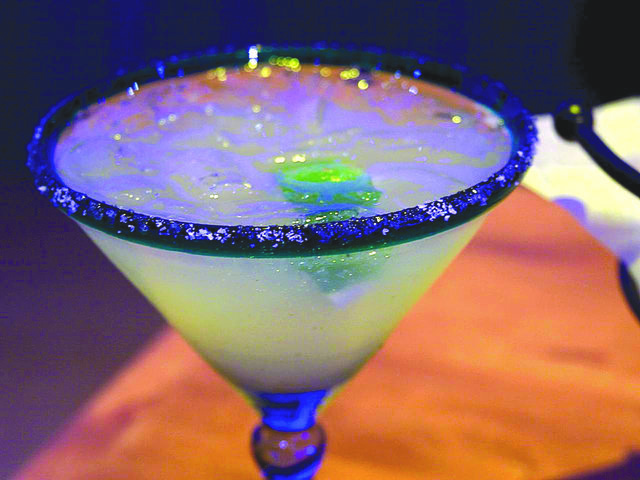 Chuy’s margaritas are made from their signature fresh-squeezed lime juice base. Try Grand Ma’s Rockin’ Rita made with 1800 Silver tequila, extra Grand Marnier and served in a pint glass. This locally popular restaurant has excellent Tex-Mex food served by friendly, helpful wait staff who are trained to anticipate your needs. Loyal, local customers rave about their delicious Frozen Mango Margaritas. Well trained, personable wait staff serve scrumptious traditional Tex-Mex dishes with a modern flair, and refreshing, creative drinks from Mojito’s upscale, upbeat, eclectic bar and lounge. Mojitos aims to please in every department, and they do succeed. Food, service, management are all exceptional. Bring your friends and sample some of their delicious Mega Margaritas on Tuesdays and $4 Margaritas on Thirsty Thursday’s.